I was fortunate enough to spend a day with my life-long friend, Mick Condy. He now owns and runs a Safari company called Mike Condy Tours and Safaris. Mick invited me to spend a day with him in the Pilansberg Game Reserve next to Sun City in the North West province of South Africa. We had an early start and were up and out on the road at 5h00 to get to the Bakubung gate at the Pilansberg Game Reserve by 7h00, just as the sun was rising. Being life long friends there was much to talk about for the two hour drive to the park. We have shared a love of the bush all our lives and it is only as we have got older that we could be afford the time and money to spend more time in the bush. One of the wonderful aspects about growing older with life long friends it that time spent together is used to share insights we have found out about life. It is both interesting and inspiring. 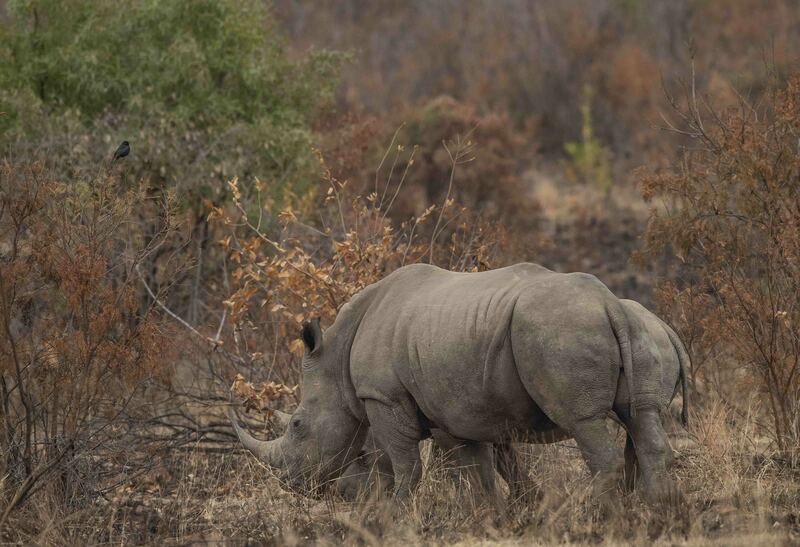 Prior to its proclamation as a reserve in 1979, the Pilanesberg National Park Complex was degraded of indigenous game populations due to intense settlement by commercial farmers. At considerable expense, the land was developed during the first 15 years after 1979. 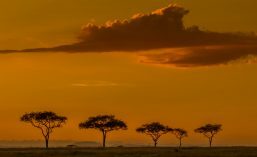 This development was the largest and most expensive game stocking and land rehabilitation project ever undertaken in any African game reserve at that time. The objective being to restock the park with wildlife and facilitate the regrowth after the degradation from human settlement. More than 6,000 head of game were introduced during the Operation Genesis game trans-location programme, which received worldwide acclaim. This area is unique from a geological perspective. Its structure, termed the “Pilanesberg National Park Alkaline Ring Complex” was formed by volcanic eruptions some 1 200 million years ago. This extinct volcano is old even in the context of a geological time scale and is the best example of an alkaline ring complex. There are only two other alkaline volcanoes in the world, in Russia and in Greenland. Neither are as clearly defined as Pilansberg National Park. Near the centre of the park in Mankwe dam. It is surrounded by rocky outcrops, open grasslands, wooded valleys and thickets which provide a varied natural environment for the wildlife. 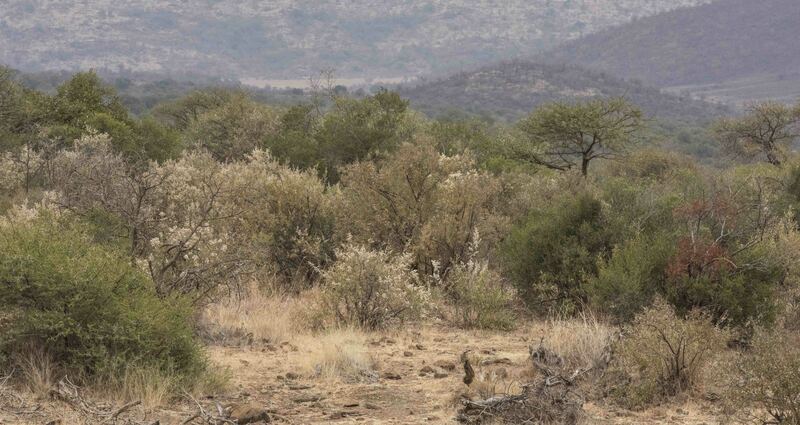 This is typical of the ‘Bushveld’ which occurs in the transition zone between the dry Kalahari and wetter Lowveld vegetation. There is much to do in and around this park but we preferred to get away from the maddening crowd and see nature in her element. Still early in the morning around 8h00 we found two young males which had left the pride and were on their own, nomads. They were very playful with each other. Two young nomads who see to have formed a coalition. 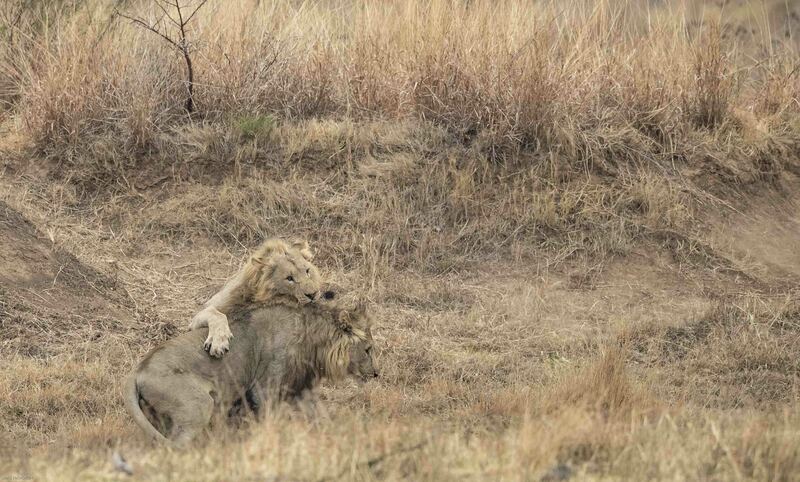 Their manes had still to fully develop. They were playful, cavorting around in the waterways at the head of the Mankwe dam. 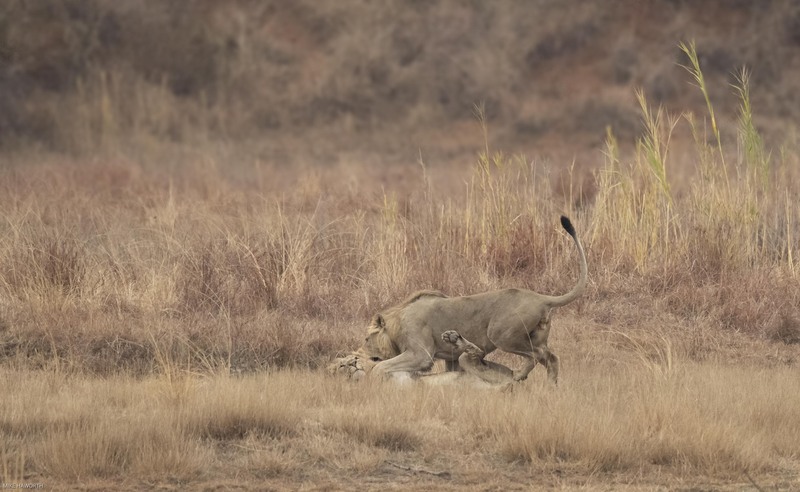 Mick and I went down to the Mankwe dam hide to see what was going on. It was busy, people wise, so not much happening from a nature point of view. Nevertheless we were graced by our avian friends. 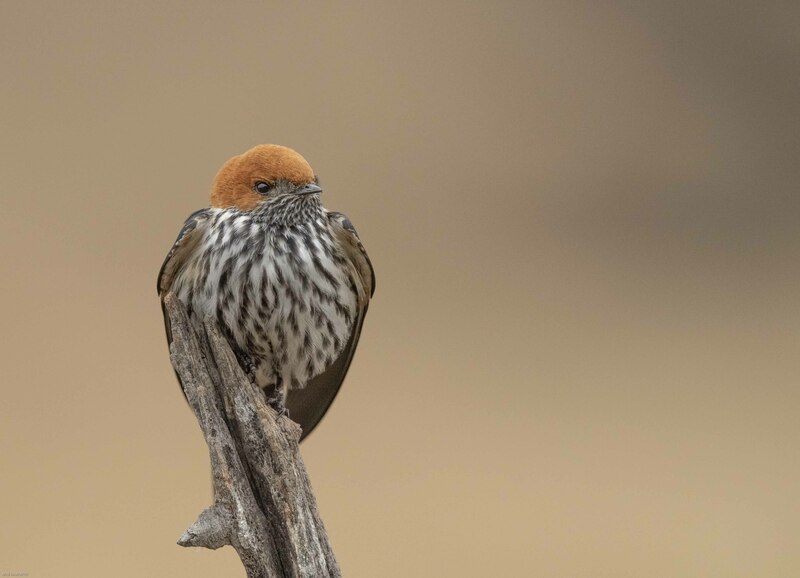 It was an overcast day and quite chilly early in the morning so this lesser-striped swallow had puffed itself out to keep warm. The air was still and cool so this probably kept these lesser-striped swallows on their perch as the insect activity must have been quite subdued. 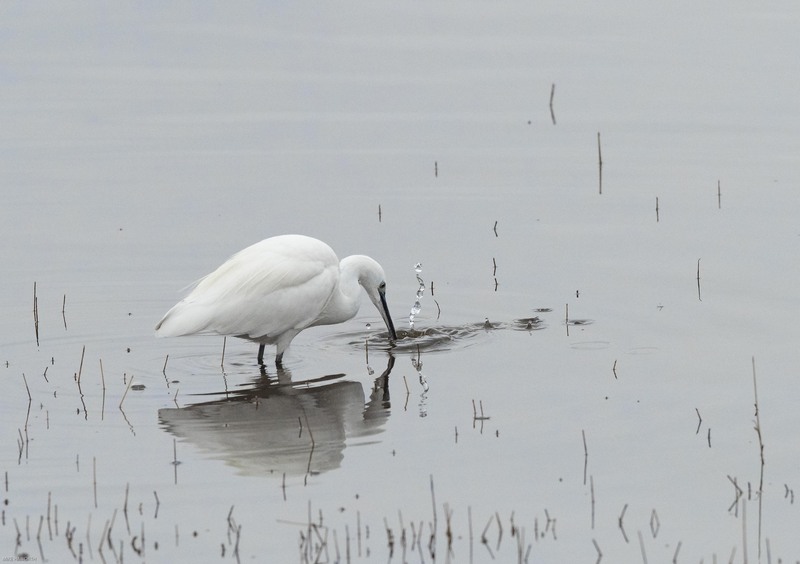 This lesser egret was busy hunting in the shallows around the Mankwe dam hide. It seemed to be successful in its hunting efforts catching several little fish. 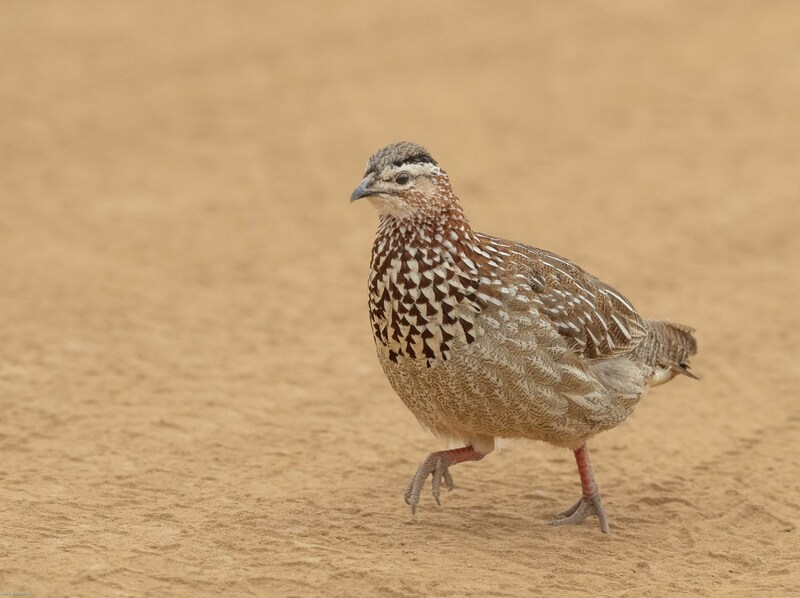 In the car park, there were a few Crested francolins pecking in the sand looking for seed. This character came running towards us habitually expecting food. A little later we wandered our way up toward Makorwane dam, west of Mankwe. On the way we were told there was a leopard sighting next to the road a few hundred metres ahead. 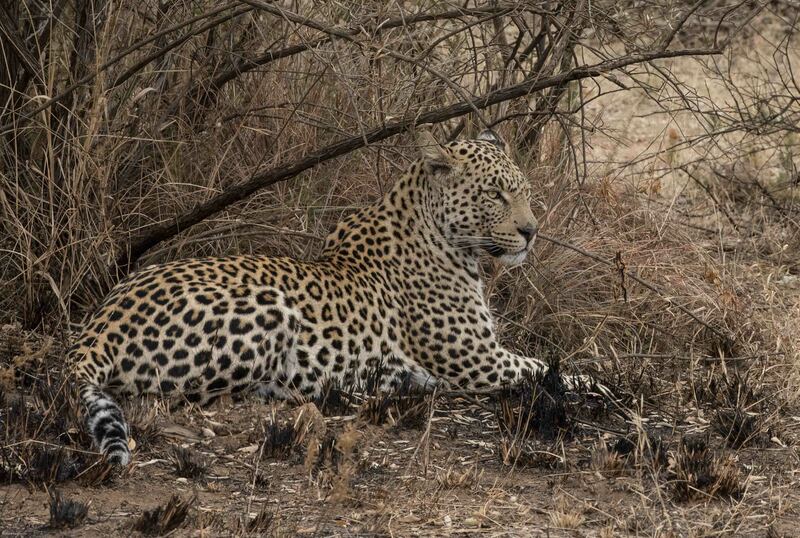 This was handsome male leopard which seemed unfazed by the vehicles and remained focused on the bush around him. 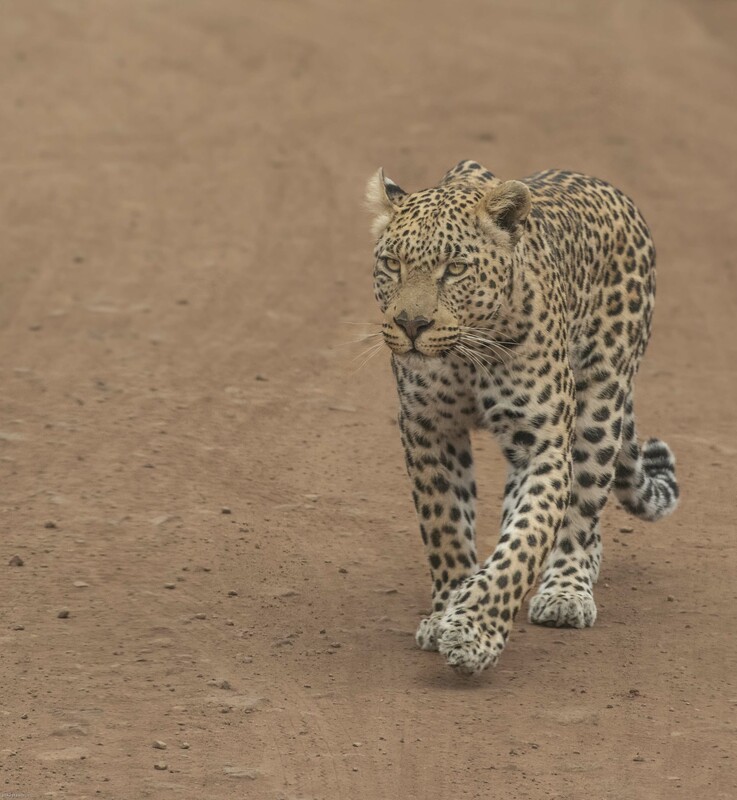 After spending a while watching the male leopard, he wandered off into the bush so we carried on up the road. 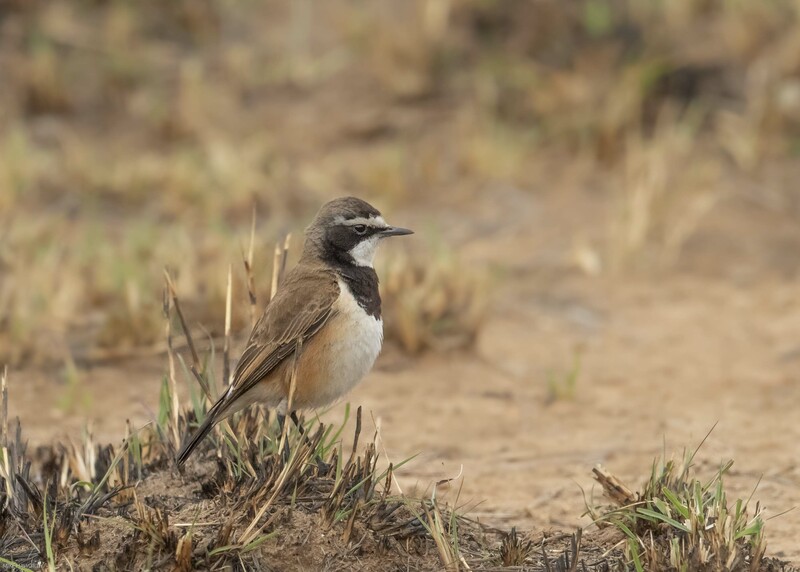 A little further on from our leopard sighting we found a pair of Black-capped wheatears. They were foraging in some burnt grass for insects. 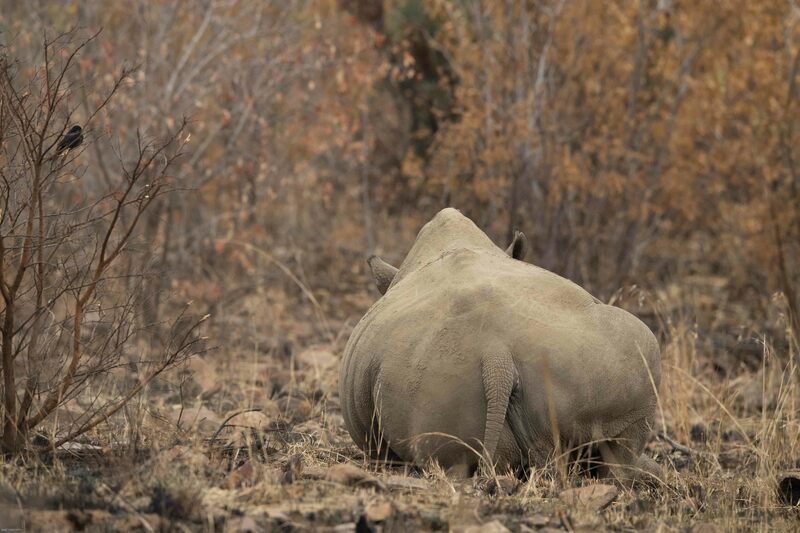 Winter can be a magical time for fora in the bush. 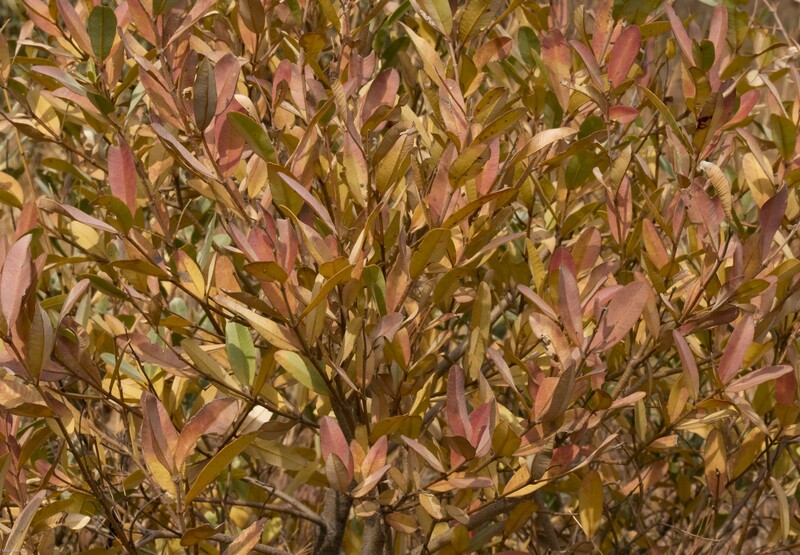 Winter can bring out some spectacular colours in the bushes and trees. 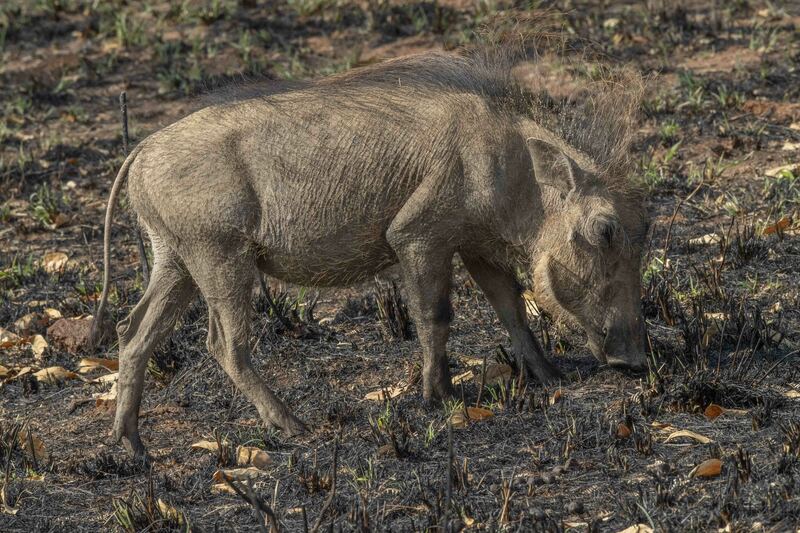 We found a small family of wathogs browsing in a burnt area of bush. They use their snouts to dig into the the earth and uncover succulent roots and tubers. We travelled east to Ratihogo hide which has provided many extraordinary sightings in the past, but it was very quiet this time but for a brown-headed kingfisher hunting for insects from its perch in the trees overhanging the dam. 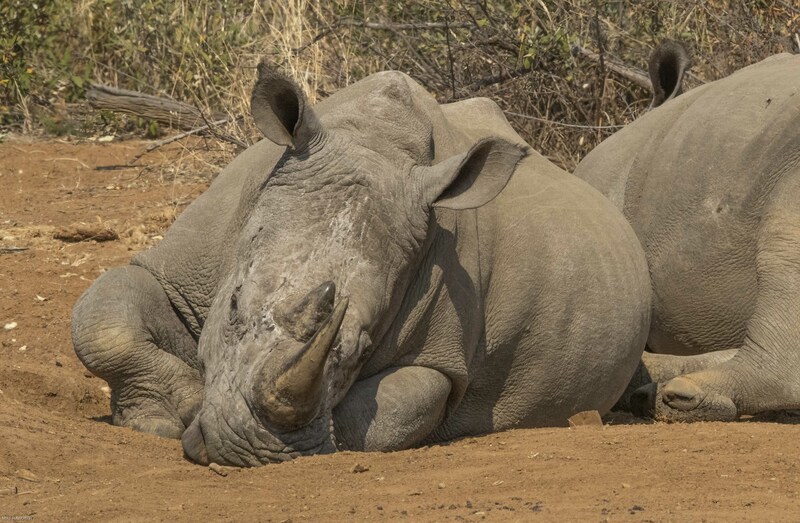 From the Ratihogo hide we wandered along the Korwe drive down to twin dams which, being winter, had dried up, We were rewarded by a sighting of two large bull white rhinos basking in the warm winter sun. 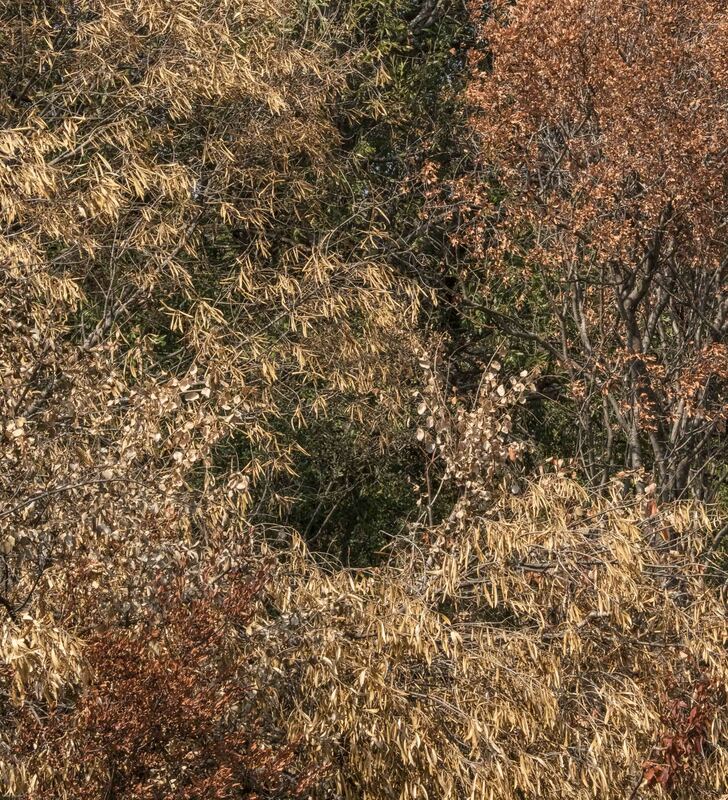 There is a wide variety of habitat to see in the Pilansberg reserve and in winter the bush offers a vivid palette of colours. 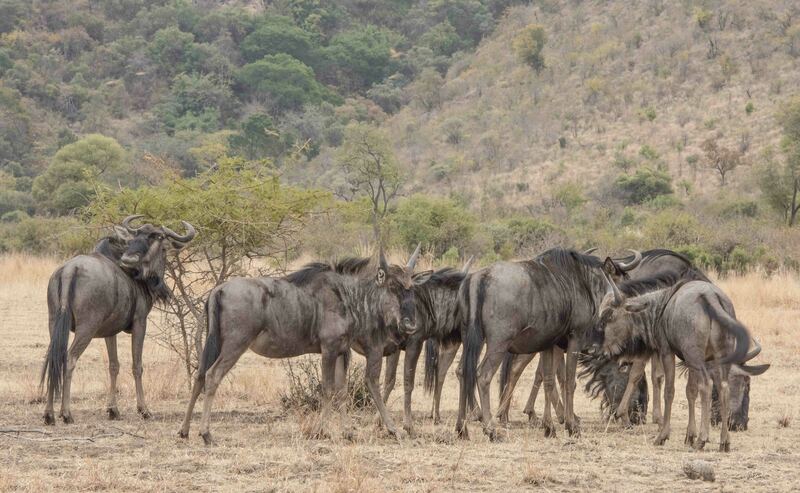 We found numerous small herds of blue wildebeest. They had huddled together due to the wind. The wildlife adapts to the wind because it disrupts two key senses, smell and hearing. It was good to see many youngsters in the herds. 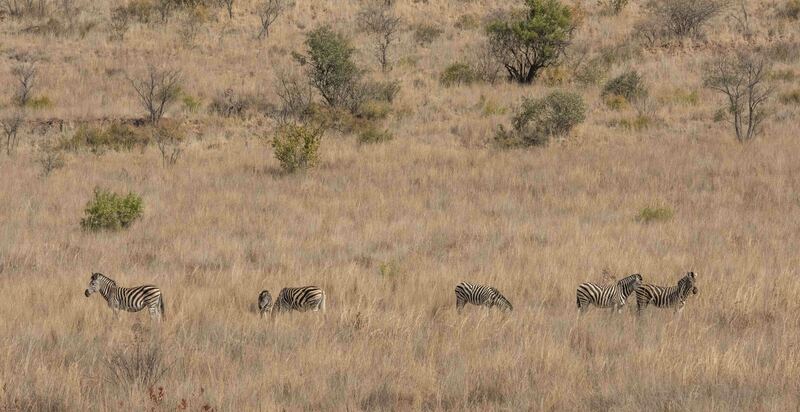 A small family herd of zebra grazing at the foot of a range of hills along Mankwe way. In the afternoon we returned to Makorwane dam and on the way we found a large breeding herd of elephant next to the road. 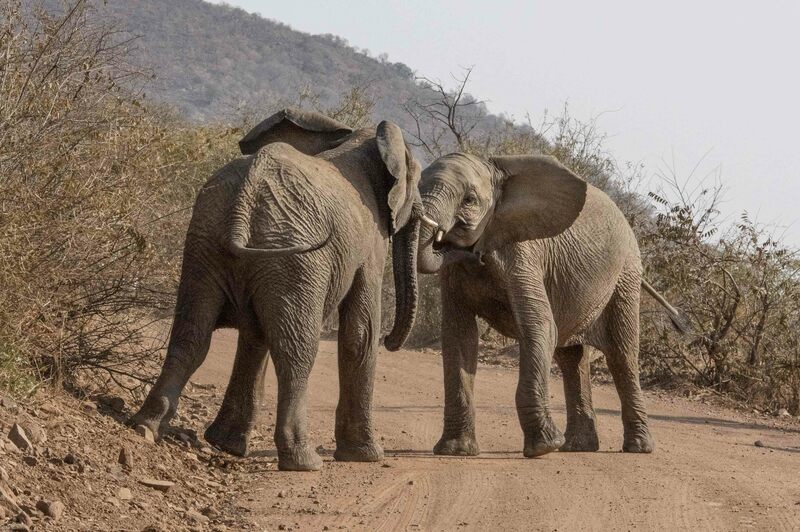 Two teenage bull elephants came onto the road to “play fight” and push each other around trying to assert their dominance. the two were evenly matched so there was no winner. On our way back to the Kubu road, after having seen the leopard, we found this unlikely pair warming themselves on a road next to the bridge. 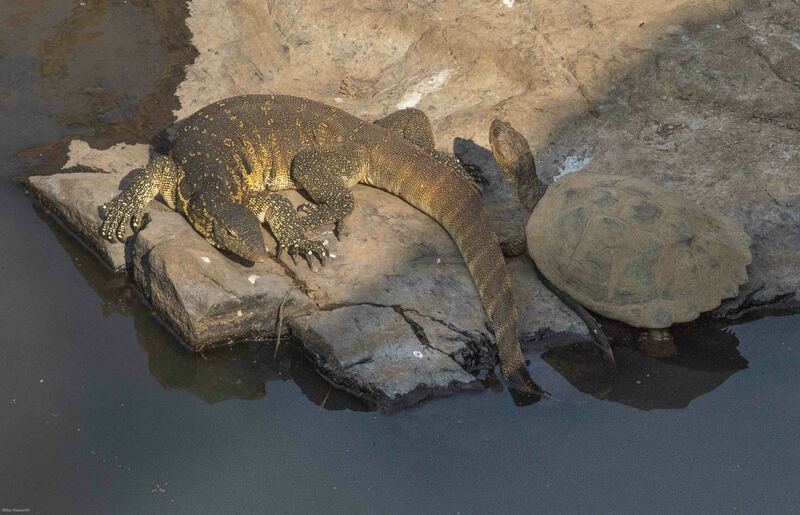 A Water monitor lizard and a terrapin. Not long after this image was taken, others saw the leopard had wandered down to the bridge and found and killed the Water monitor lizard. Leopards are not fussy predators. There were no sighting highlights as it was special to see all the wildlife, big and small, animal and bird. The leopard was surprisingly relaxed which gave us a unique opportunity to spend some time watching this normally secretive feline. Unfortunately last weekend, the Pilansberg National Park was ravaged by fire. Park authorities said it began in the north of the park‚ and burnt through the park on Sunday, fanned by the wind blowing south. 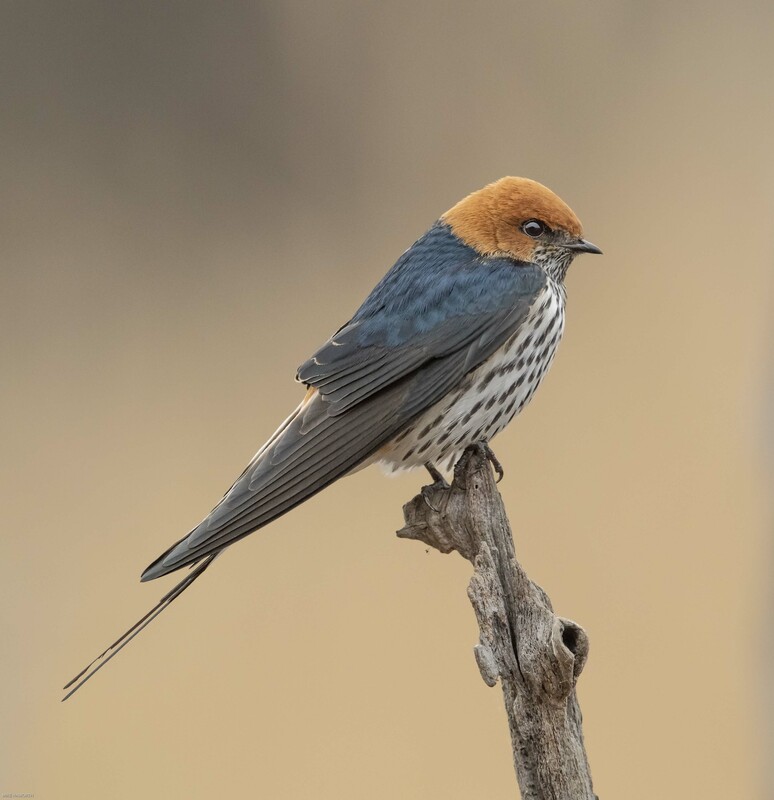 The park has a number of hides favoured by many to watch the bird and animal life come down to the dams to drink. The largest hide overlooking Mankwe dam was destroyed by the fire. Explore, seek to understand, marvel at its inter-connectedness and let it be. Thank you for this wonderful trip down memory lane. When we lived in (the then) Bophuthatswana we were regular visitors to Pilanesberg from before its official proclamation, so it holds a special place in my heart. I am so sorry to learn of the fire and hope that, given the end of winter, it will recover before long. Love how you put it together Mike. Its a wonderful read. 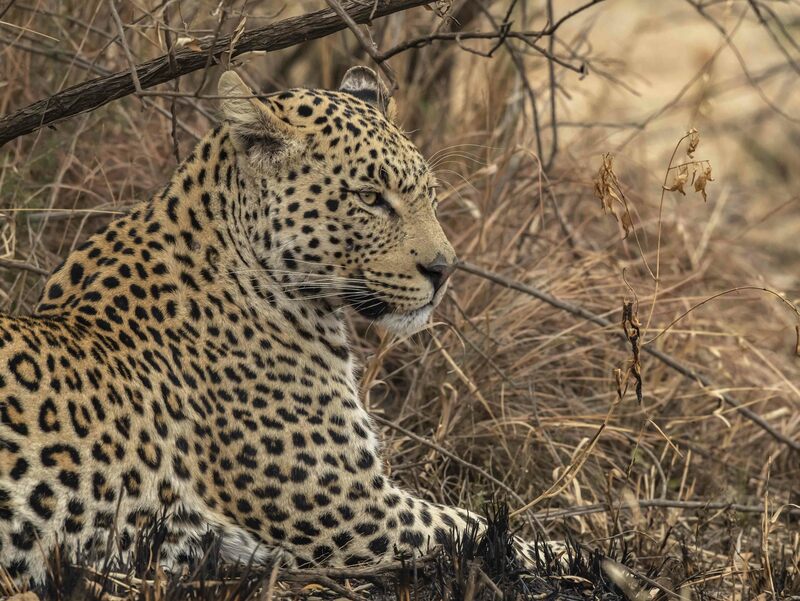 Beautiful photos and majestic Leopard. Look forward to start the Friday with this! So sad to read about the fire. We spent a few great days in Pilansberg in July and thoroughly enjoyed it. The landscape is magnificent as is the wildlife. Wonderful memories. Thank you Mike. Love your story telling Howie. Our 60 year old friendship just gets better & better. What a great privilege it is to spend the whole public holiday with such a respected buddy. Love you Howie. Thank you Loee – you are dead right. A life long gift in the making and treasured! !